Always brush your teeth in the morning and before going to sleep (seems obvious, I know!). 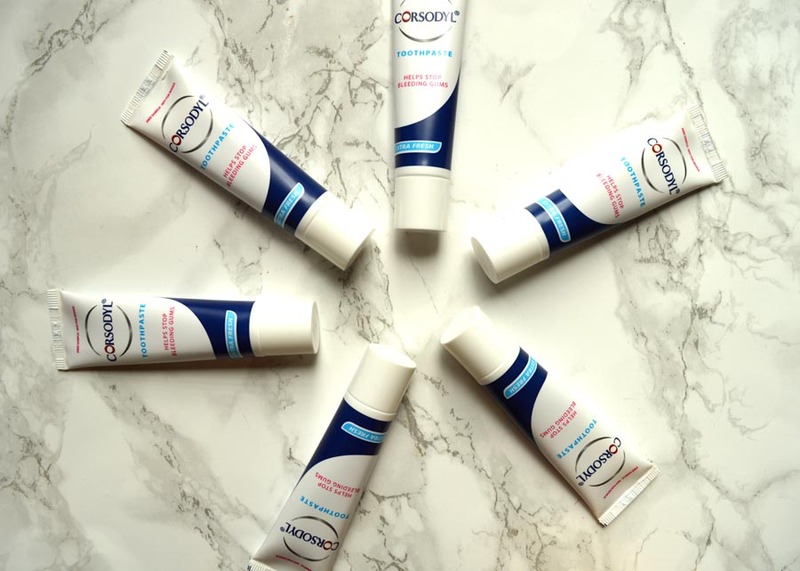 Use a soft-bristled brush and toothpaste that contains fluoride, this is why Corsodyl has remained one of my favourite brands for oral hygiene as their toothpastes provide additional benefits than just for cleaning . If you can afford the cost, buy and use an electric toothbrush. I don’t have an electric one just yet as I often brush my teeth too hard (which hauses the heads to wear out much quicker) but once I stop doing so, I’ll be splurging on one as they do make such a difference. Try to place your toothbrush at a 45° angle against your gums and brush each tooth around 20 times – this will ensure you don’t miss any teeth out and gets as much dirt off of them as possible. Move the brush gently, using short strokes. Brushing too hard like I often do can cause more damage. Your teeth are not there to scrub like a plate – be as gentle as possible as they are delicate. Brush the chewing surfaces of the teeth with short, back-and-forth strokes. Your toothbrush/toothbrush head should be replaced at least every 3/4 months but I do replace mine every 1/2 months. Also if you get a cold/throat infection ect then change your toothbrush as this can harbour harmful bacteria that you definitely don’t want to be putting back in your mouth. Do not cover your toothbrush or store it in a closed container that can encourage growth of bacteria – just keeping it out is much better. 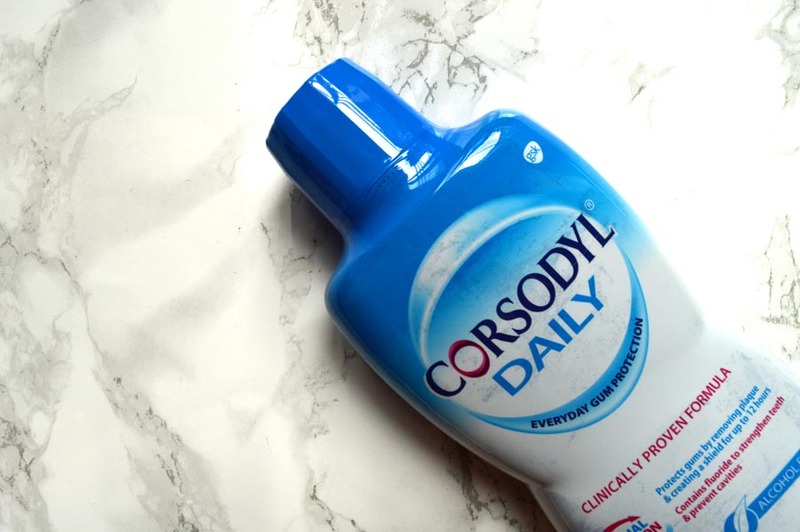 Using a mouthwash, much like that by Corsodyl, can reduce plaque and gum disease as it provides a deeper clean than just using a toothbrush. I sometimes forget to use it, but my mouth always feels so much cleaner after I do. 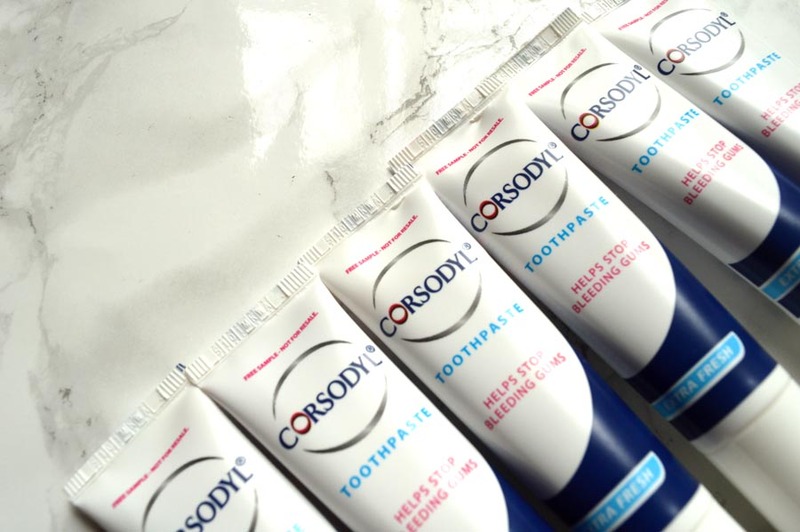 Do be careful when using whitening products as this can remove layers of your tooth and make them increasingly sensitive, but do consider the use of a whitening toothpaste as this has said benefits without harmful consequences. Do not ignore bleeding gums – if you notice them a few times in a row arrange a visit to your dentist to get them checked out as catching anything earlier is better for you in the long run. Flossing also helps to remove the plaque or food built up in between your teeth where a toothbrush can’t clean – ever since my dentist recommended me doing it about three years ago I do so religiously. You do have to be careful not to actually cut your gums (which I found out the hard way) but to get an all round cleanliness this step is essential. Last but not least, visit a dentist regularly. I hate the Dentist so much but know I’d hate to have my teeth fall out even more. I visit them every 6-9 months based on their recommendation. If you’re scared, take someone to sit with you. 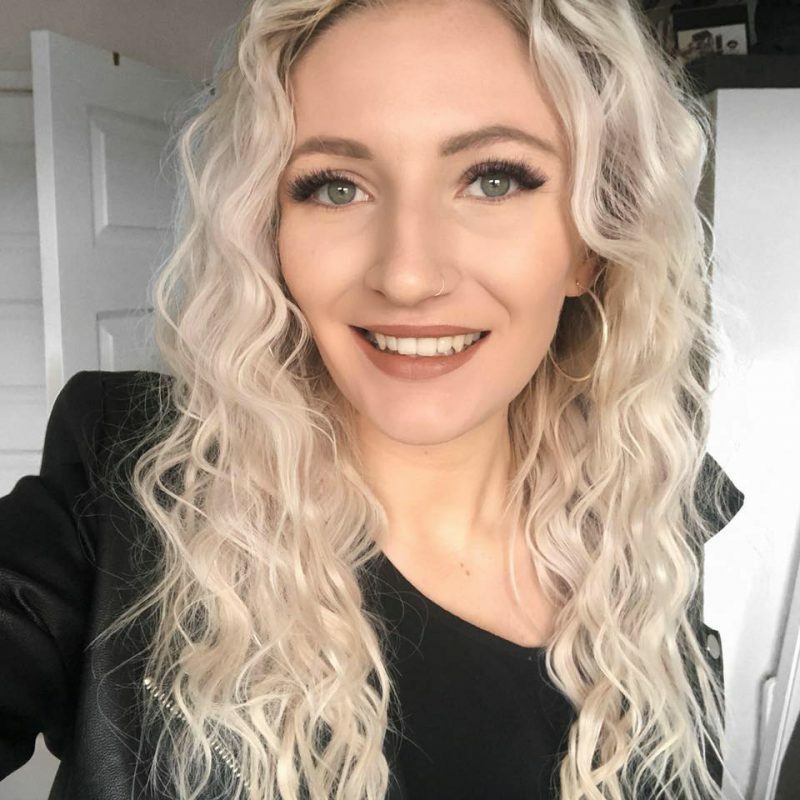 So there are my top tips on keeping gums and teeth healthy and by following these steps you can be sure to prevent as much plaque as possible which is one of the biggest reasons for the cause of gum disease, according to experts. I hope that you’ve all spent #NationalSmileMonth looking after your teeth as lets face it, we all want the nicest teeth we can possibly have and that can be achieved from home! What are your top tips in keeping your teeth as healthy as possible? Let us all know in the comments! Previous Post A Debenhams Beauty Haul!